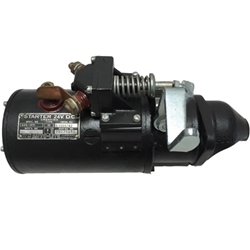 Starter assy, late type, rebuilt, core charge is addition but will be refunded upon receipt of your core. These unit are highly detailed with mostly new plated hardware. Terminals are red glyptol painted per factory specs.